challenge to serve God by remembering those less fortunate was answered in a style only possible by this ardent bunch of characters that make up Council # 5263! "WE" have kept "CHRIST" in "CHRISTMAS"!!! Father Harding Council #12180 at St. Lawrence Church. was also made to Sarah' House delivering 4 containers of toys for the children there. thanks thanks and GOD Bless!!! To those Brothers who had good intentions but let the appeal slip your minds, who maybe a little short at the time or -are a little slow and really want to be part of a winning team,---we will still accept your checks .."GOD BLESS YOU"
council home on Becknel Ave. in Odenton on Saturday, February 10th, 2018. The festivities begin at 8:00 p.m. to midnight. Doors open at 7:30 p.m.
with games beginning at 8:00 p.m..
R.C. Fisher at (443)714-0695. All proceeds from the evening will go to the council’s funds that support our community, council, and youth programs. The 48th year of the "Christmas for the Forgotten" is now history with a new goal of 50 in sight. Again Archbishop Keogh council along with help from our friends in the parishes in our Council area can take pride in another successful drive. Each year it seems that there is more competition for the charity dollar. That makes our task a little more difficult but at the same time it is gratifying to see more good causes being addressed, more people willing to put "CHRIST" in Christmas. Again this year we had the help of our friends at St. Joseph's parish in Odenton, Our Lady of the Fields parish in Millersville, Fr. Harding Council Knights of Columbus #12180 at St. Lawrence Church in Jessup, and the Faith Formation Classes at Our Lady of the Fields parish in Millersville (this group simple amazes the volunteer center personnel) Spring Grove Hospital Center has sent letters of appreciation to each of these parishes thanking them for their generosity. I would like to add our Council's recognition and thanks to all who did help, particularly those Brothers who did the coordinating within the parishes. Everyone did a tremendous job! KEOUGH COUNCIL 5263 PRESENTED A CHECK TO THE ODENTON ELEMENTARY SCHOOL. THE $500.00 DONATION WILL BE USED TO PURCHASE NEW PLAYGROUND EQUIPMENT. DUE TO A MISUNDERSTAND OF TIME OUR BROTHER DON GOBBI MISSED THE PRESENTATION. IT WAS BROTHER GOBBI AND THE MCCONNVILLE'S WHO SPEARHEADED A CRITICAL PROGRAM FOR THE SCHOOL IN THE PAST. MY SINCERE APPOLOGIES GOES OUT TO DON AND THE MCCONVILLE'S FOR THE SLIP IN TIME FOR THE PRESENTATION. Congratulation to Brother Joe Pfeiffer for 45 years of support of the Living Rosary. The faith community appreciate all the hard work and tireless hours Joe and his army of lectors and technicians put in to make this program a success. Congratulation and we are looking at the next five years. It will be a "Golden Event". Vivat Jesus"
The council meets on the second and fourth Wednesday of each month at the Council Home at 1381 Becknell Ave, Odenton Maryland. Meetings start at 8:00 pm. The first meeting is a business meeting and the second meeting of the month is a social meeting. On Sunday August 10, 2014, the officers of Archbishop Keough Council was installed at the Council hall after the celebration of the Mass. The mass was celebrated by our Council Chaplin Father/Major George Okoth U.S. Army. A reception was attended by 45 Knights, State Officers and family members. Our church program cover a three parish network. We have Knights attending and actively participation at St Joseph’s in Odenton, Our Lady of the Fields (OLOF) in Millersville and Our Lady of Peace Military Catholic Community. Our Lady of Peace (OLOP) is located on Fort Meade which has one of the largest military and civilian population in the world. St Joseph is the closest to the council’s home. This year we conducted a membership drives at all churches. Knights were deployed at all entrances and exits. The announcement from the pulpits proved to be successful. The fruits of our labor paid off because we acquired 4 new members, three transfers and one reinstated. We have Knights participating in all aspects of three parishes. There is an active Roundtable at OLOP and all are connected to Keough Council 5263.. Keough Knights are performing duties as lectors, ushers, CCD teachers, RCIA teachers, social committee members and the list is endless. 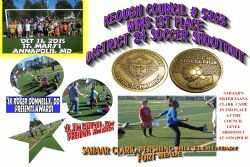 Keough Council 5263 are an integral part of all community. One example is the support the council gave to OLOF annual parish picnic. They were in actively involved in preparation and cooking the food, the sole vendor for cold drinks and the primary set-up and clean up after the event. Conversely, the Knights are a major participant in the weekly Parish Bingos; Hospitality Sundays; fund raising; faith formations; sodalities; food drives; feeding the poor at shelters and at the parish halls. The Keough Knights provide traffic control for major Church holidays and holydays. Some of the traffic control is performed in less than favorable weather condition. For example the Midnight/Vigil Masses at St Joe’s and OLOF this year created quite a challenge for the brave ten knights who directed traffic in cold, rain and darkness. At OLOF the Knights had to assist parishioners who got stuck in the murky overflow field. That was an impressive show of support for the church. Conversely, it was also impressive when you had a DD Roger Donnelly, PGK, PFN and PDD, ankle deep in mud and rain working besides his fellow Brothers to assist the elderly and others get on their way. The Council along with Roundtable at Fort Meade collected over 2,000 pounds of food and paper produced in support of Sarah’s House near the military reservation. Besides collecting and delivering the food to the Shelter, once a month the Roundtable cook and serve the residents of the home. One of the flagship events of the year for Keough Council in support of the community is the coats for kids and the Christmas for the Forgotten. The Christmas for the forgotten program at Keough celebrated its 45th year. It is a program that provides much needed comfort and dry good items to those residents at Spring Grove hospital. Those residents in most cases do not have any family left on this earth. The program brings joy and happiness to the sick and shut-ins. The program has collected over $180,000 thousand dollars in goods and donations over a 45 year period. This year our Brother Angel Joe Pfeiffer sorted, packed and delivered 35 large containers filled with gifts and all sorts dry goods for men and women (underwear, socks, PJs, gloves etc.). Besides the gifts the council delivered 157 shoeboxes filled with assorted personal hygiene items. A donation of $1915.00 was donated to the Spring Grove Hospital to purchase gifts for the patients with special needs. The council conducted a Tootsie Roll Drive for the Intellectually Challenged and this we delivered the proceeds to three major care unit in the Anne Arundel County community. We received letters of appreciations from those organizations. In addition we were highlighted in the Arc of the Chesapeake Newsletter to include a presentation picture. A perfect example of why we should wear our hats, shirts, badges and other Knights stuff. Pictures documenting the three presentations are display on our web page. Keough Council has sponsored two blood drives so far this year and the next one is schedule for March. The council has K of C certificates and wallet cards for the participants. In November the council donated $500.00 to the Odenton Elementary School for new playground equipment. The school district tore down the old playground, citing safety concerns. The PTA was tasked to raise funds and the council stepped up and presented the money at a presentation that was covered by the news media. Brother Bob Garrick along with the GK and DGK presented the oversized check to the principal and the PTA. A Delegate from the Maryland Assembly was on hand along with some of the school children for the presentation. All the Knights present wore hats, badges and coats with the Emblem of the Order. You can visit our web page for pictures and news stories. It was an impressive and exciting event. The council has a vibrant recognition program. The program recognizes family and Knight of the month and Year. The Grand Knight puts a lot of effort into making sure each Knight, Program and key events get the recognition for the hard work expended to make things happen. 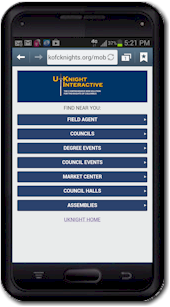 The skill bank of Knights in the Keough Council is impressive. In August a tree fell in the parking lot of the council home due to heavy winds. The word went out on the Council recall/tree roster—pardon the pun. Well, the army of volunteer Knights assembled and the tree was cut in to wood burning sizes and donated to deserving members and neighbors. That same group of Knights cut down another tree that could have fallen on the council’s home. The council saved a lot of money on tree removal and potential damage to the home. In October the council conducted a memorial service for our departed brothers. The invitation went out to all the know widows in the area and beyond. A memorial mass was celebrated by our Worthy Chaplin Fr George. In addition the widows was mailed a memorial card and a beaded cross necklace with the colors of the Raven or the Orioles. This added a special touch for the event. In November the army of Knights were assemble again to refinish the council home wooden floor. The project was completed by stripping, sanding and painting (polyurethane) the entire floor. The combination of talent and desire created a work of art. The Emblem of the Order was proudly affixed to the center of the floor. We received compliments from visitors from the Maryland State Council and other on a job well done. The Chief Floor Engineer Rich Waltz; the Sand Man Don Gobbi; the Belt Mechanics Steve and George A-Z; the Paint Technician Roger Donnelly and the Army Lt Colonel Chris Aleshire and his daughter were recognized for their efforts. Keough Council 5263 makes a concerted effort to involve the family in as many activities as possible. For an example our Tootsie Roll drive would not be as successful if was not for the families. The Intellectual Disabilities aprons on a mom or child has a certain appeal to make folks dig deeper in their pockets or purses. We have families who look forward to the drive each year. Our council family holiday celebrations has a flair that are both inviting and entertaining. The council has children and adults holiday theme parties. When children are involved the families are there to assist with the activity. Brother Knights assist with the cooking or preparing the food. The moms are helping with the younger kids. The older kids are helping the events coordinators with the various tasks to keep the event flowing. One blazing example of how families come to together in the council is during our Christmas Gala for the kids. It was a total family effort in transforming a hall into a Polar Express fantasy land. The sights and sounds of the event created a magical and exciting atmosphere not only for the children but for the parents (mom and dads) as well. The Knights and their families are an integral part of the parish and community activities as well. Our Family of the Month and Year awards program was resurrected from an almost dormant state to a vibrant and active program. The presentations is presented at the parish of the recipients. The presentation servers many objectives. Most parishes do not have a recognition program highlighting family involvement in the church. The Knights Family Award confirms to the parish that good deeds will be rewarded both here on earth and in heaven. The program highlights the Knights and places emphasis on the order as a family centered organization. We use our web site balloting program for nominating the Knight and Family of the Month and Year. The Council fully the supports the youths in the community and the council. Shawn Allen our Youth Program Director spearheads the Council’s Keep Christ in Christmas Poster Contest. The council sponsors an annual youth Christmas party, Easter egg hunt, and a Halloween party. Keough Council participated in the 2015 free-throw contest. A group of Knights from Keough Council assisted with Fun Day with the School of the Incarnation. Brother Knights help set up and take down equipment. The GK, R. C. Fisher and the Warden Chris Aleshire participated in the 2015 Veteran Day Program. The Knights read books to school children at Pershing Hill Elementary school on Fort Meade. Also, they gave a talk about their military career and the importance of school and serving their country even at an early age. Keough Council member has participated in four major March for Life events during 2014 and 2015. The most recent marches were in Washington DC and the Maryland March for Life. In addition our Culture of Life Activities Chairperson broadcast the most current newsletters from the state and national program chairs. Brother Tom Newcomb has done an excellent job conducting membership drives. Membership drives were conducted at local churches and the fruit of his efforts in September produced four new candidates. Immediately, a 1st Degree was conducted and Brother Tom Newcomb personally escorted the four to the next degree. A parish wide recruitment effort is schedule for the week of 20-27 March 2014. The recruitment effort is a special request from our Supreme Council. “The” Keough Council plays a vital role in their respective parishes. The members are doing so much to improve the community by feeding the poor, clothing the disadvantage, collecting and delivering food to shelters. They are very active in the Boy Scouts and other youth activities. Keough Council has one Roundtable that is very active and supports the Fort Meade Military Catholic Community. We have Deacons, Lectors, Eucharistic Ministers, Ushers, Parish Coordinators, CCD Teachers, RCIA Directors, Choir Members and Bingo Callers. Conversely, we have team of skills workers who maintain the council home. Those skill workers include plumbers, carpenters, painters, chefs, event planners and varmint displacement technicians. This is a very active council and as the Grand Knight I am very proud of the brothers who can be dependent upon when the call for help goes out. We are not afraid and our actions are a true testament of our faith. The new Odenton Elementary School playground is a little closer to a reality: Members of the Knights of Columbus Archbishop Keough Council 5263 presented a check to the school's PTA for $500. The PTA has been working on raising funds to replace the playground since this summer. The equipment was deemed unsafe by Anne Arundel County Public Schools and removed. It is standard policy to have the playground equipment replaced by schools PTA. Roland R.C. Fisher, the council's grand knight, said the club voted on the donation a few months ago. "It was a quick vote, and unanimous," Fisher said. "We are glad to help out in anyway we can." "We are glad to be able to give back to the community." Bob Garrick, the financial secretary for the council said. "Glad to help the school out." The community needs to get together to take care of our schools," Deputy Grand Knight Louis Diaz said. County Councilman-elect for District 4, Andrew Pruski, also was present but in his capacity as a fellow Knight. "It's important that we help each other out. Hopefully others will give," Pruski said. "We are grateful for the Knights to reach out to us and support us," Principal Tracey Ahern said. "The PTA has thus far raised approximately $34,000 from donations and fund raising efforts. OES students also participate by filling piggy banks with change to contribute to the campaign." There will be a fundraising spirit night at Buffalo Wild Wings in the Arundel Mills mall on Dec 10. When paying at the register, let the cashier know you are with the school and a percentage of the order will be donated to the playground fund. It is with a sad and heavy heart that I bring news that Sir Knight Walter “Walt” Myers has died and joined the heavenly Council with his Brothers and our Dear Lord who has passed before him. PGK John McConville announced to me this evening that Brother Walt died this morning after a lengthy and difficult illness. John was in contact with his wife Roseanne who is not in the best of health herself. Walt will truly be missed in the Keough Council 5263 and the Admiral Benson Assembly 381. For two consecutive years until today Walt served as Chancellor and Vocations Chairman for Keough Council. Walt supported the council in so many ways. 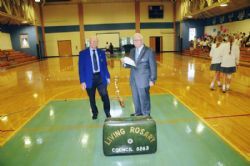 Even during his illness he had the State Council car raffle donation delivered to the Council during one of our meetings. Remember, it was Walt who collected donations for our Casino Nights. How many of us could go door to door asking for donations while connected to an oxygen tank? Asking for donations for the sake of the Knight of Columbus fund raining efforts. How may times have you seen Walt show up to our Council meetings badly bruised and could hardly walk, just to read the names of our sick and distress without even uttering his own name? Walt was truly a remarkable example for all Knights to follow and to emulate. Our condolences go out to his wife Roseanne, his daughter and the rest of the family. 2) VIEWING : will be Sunday and Monday December 28th and 29th at the Ambrose Funeral Home at 2719 Hammonds Ferry Road, Landsdown, MD 21227 (410) 242-2211. 3) VIEWING TIMES: 3:00 – 5:00 PM and 7:00 – 9:00 PM on Sunday December 28th and Monday the 29th. 4) A Rosary and Color Corp is requested on Sunday between 7:00 P.M. and 9:00 P.M.
5) FUNERAL: St Joseph Church in Odenton on Tuesday at 10:30 A.M.
6) BURIAL: Tuesday after the Mass of Christmas Burial @ Meadowridge Memorial Park; 7250 Washington Blvd, Elkridge, Md 21075. South of 100 on Route 1. A reception is pending at this point. I will keep you all posted any new developments. Two things are certain: “The Rosary and the Color Corps” Council members be thinking about participating in the Rosary and I will summon the Color Corps. I do not know the availability of the team because of the holiday. I will keep you posted. Brothers, feel free to contact me anytime and if I sound a little bit under, remember: “I am highly VA medicated but extremely dedicated to you and this Council”. Think of our Brother Walt and his family during this holy season they need our prayers and support. It is moments like this that makes santa look like a grain of sand in the Mohave desert in the scheme of things. By Father Augustine Thompson, O.P. ancient festival. If you let your kids go trick-or-treating, they will be worshiping the devil and pagan gods. 1, the dedication day of All Saints Chapel in St. Peter’s at Rome. Later, in the 840s, Pope Gregory IV commanded that All Saints be observed everywhere. And so the holy day spread to Ireland. all the faithful departed. This feast, called All Souls Day, spread from France to the rest of Europe. up in fanciful costumes, which isn’t Irish at all. Rather, this custom arose in France during the 14th and 15th centuries. Late medieval Europe was hit by repeated outbreaks of the bubonic plague–the Black Death–and it lost about half its population. It is not surprising that Catholics became more concerned about the afterlife. OUR NEXT CAHDS AND CIGAHS IS ON FRIDAY DEC 5TH @ 7:30 p.m.at Becknel Hall. COST IS STILL $8.00 WHICH INCLUDES SODAS, CHIPS, SANDWICHES AND CONDIMENTS. ALL YOU NEED TO BRING IS ALCOHOL AND CIGAHS. COME OUT AND HAVE A GREAT TIME. Thanks to all the Brother Knights who braved the weather to pay respects to our departed brother Joseph Mastrucci. The showing was impressive and the family was very appreciative. A true testimonial of our Brother’s life. Just to the North of Gambrills three of Keoughs’ finest was at the Cathedral of Mary Our Queen. The Cathedral celebrated her 225th anniversary. The Supreme Knight and his staff were present. The main celebrant was our Supreme Chaplin, Archbishop Lori. It was a spectacular event attended by Cardinals’, Bishops and Religious of all flavors. It was colder that a“well digger’s shovel in Anchorage” but who cared. It was blessing just to be in the line both outside and inside. It is those moments that gives you a sense of pride and honor to be a Knight and most of all, a Catholic. A very special thanks to Roger for being our KEEP CHRIST IN CHRISTMAS program chairman. However, next year we will be looking for another Chairman. Give it some thought and consideration and do not wait until the 11th hour to come forward. Just something to add to your "DASH" if it is in your heart come forward today. Our Lady of the Fields and Our Lady of Peace are in full swing. The people love the cards and they act as a reminder to us all. This weekend 10/25/14 Our Lady of the Fields will be conducting the card sales. Our Lady of Peace will pick back up next weekend. Also remember those from the Ladies’ Auxiliary, who have preceded, or joined their spouse, and our Brother Knight, to the eternal life. PGK Art Wheatcraft died on January 2, 2015. Worthy PGK Art and his wife Marianne were very active in our council. Many of you remember the excellent meals they prepared for the council. They were a beautiful couple and they leave behind many memories. May they both rest in peace. BOB AND SANDY FOR THE EXCELLENT MEAL. IT WAS A FOUR STAR EVENT. THE CHILDREN CRISTMAS PARTY ON DEC 13TH WAS A GREAT SUCCESS..THE POLAR EXPRESS THEME WAS A BIG HIT. ALL CHILDREN AND PARENTS ENJOYED THE FOOD. ALL CHILDREN WENT HOME WITH GIFTS AND OTHER GOODIES . THANKS SHAWN FOR MAKING THIS EVENT A MEMORABLE ONE. THANKS TO ALL WHO ASSISTED IN THE PARKING PATROL AT BOTH PARISHES DURING CHRISTMAS EVE. A GROUP OF KNIGHTS FROM KEOUGH COUNCIL PARTICIPATED IN A YOUTH PROGRAM ON FORT MEADE. THE KNIGHTS WHO ARE VETERANS DRESSED IN THEIR FINEST AND VISITED CLASSROOMS AND READ STORIES TO THE CHILDREN. CONVERSELY, THEY GAVE STUDENTS A IDEA OF WHAT IT MEANS TO SERVE AND HOW THEY SERVED AND STILL SERVING THEIR COUNTRY. THANKS TO CHRIS FOR A JOB WELL DONE. HOOAH! We need to finalized the activities for the Chlidren and Adult Holloween Parties. I am soliciting for a chairperson for the Memorial Mass and Christmas Party is just around the corner. Let me know if your are interested. As your Grand Knight it makes me proud to see such a spirit of Knighthood amongst you and the dedication to support our Order, Church and Community. Thanks to many Brothers and their Families who are working behind the scenes week after week spreading the spirit of our Order and our faith as Catholics. We see you at and in church. There are a lot of folks at Church but not in Church. Our Council is all over. Brother's you are teaching, preaching, serving, proclaiming the Word, LEMs, Audio Engineers (making people sound good), feeding the poor, RCIA, and more. If I missed someone just add your talent to the list. Now this is not for me. Someone greater than I is keeping an eye on your talent account. You already got 10 points for being a Knight and showing up and participating at one meeting got to account for something. I would love to see you. As you ponder the lives of our dearly departed Brothers; Rufus Handy and John “Johnny” Eggerl, I can’t help but remember the words of Maya Angelou that have been repeated over and over in the recent days since her death. "I’ve learned that people will forget what you said, people will forget what you did, but people will never forget how you made them feel". I love cemeteries. Maybe it’s the quiet, or the way the grave markers are laid out in rows. In Mississippi and Louisiana I find they are peaceful places to reflect on life and on God. The cemetery is a great place to listen. When I’m in the cemetery, I hear through images. There are large, ornate headstones and simple, stamped concrete markers. There are deceased loved ones whose souls are now at rest. And I’m always struck by the numbers of people who are sitting by the graves of their loved ones. My eyes always catch the “DASH”. The Dash is the space between the birth date and the date the person died. For some of you who will look at the various Dashes” on Thursday at the two resting places of our Brothers. The dash will be just be a mark in the stone. Conversely, you all will have many things you will add to Rufus and Johnny “DASHES “. It is simple—just ponder. Do me a favor just glance at one other headstone or marker and look at the dash. Take a look at the flowers, teddy bears, little motorcycles, inscriptions and other outward signs—you could possibly figure out something about their “DASH”. I am so proud to announce we have two new members to add to the Keough Council 5263 Class of 2014. 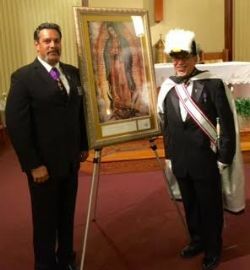 We welcome Joe and Frank to our prestigious an illustrious Order of the Knights of Columbus. On Monday Oct 20, 2014 our dedicated Membership Sherriff/Tom Newcomb and his team of deputies/Admission Team, Rich Waltz and crew prepared our new candidates for admission into our Order. After a unanimous vote we began making plans for the trip to Annapolis to induct our two candidates. Thanks to Steve A-Z, Les, Lou, Tom, Rich and Roger and your GK. To our Worthy Recorder Andy, we took minutes and are ready for your disposition. Thanks to Tom and Rich for not only transporting the candidates to Annapolis for the 1st Degree, your GK enjoyed the ride as well. We have a candidate or two in the wings and hopefully more to follow. Brothers, the time is right or ripe to shake the bushes, the pews and those hospitality rooms for potential candidates. We got men in our parishes just looking for directions. You see them every week after week. You may never know if those gentlemen got one foot on a banana peel and a Form 100. WELCOME TO OUR NEWEST MEMBERS: Let us welcome Brother Thomas Zabetakis and Brother Jeffery Doughery and we have two more transfers to be announced later. Congratulation to the successful Membership Drive that was held at Saint Joseph. The fruits of your labor have paid off. We have transfers, new members and reinstatements--Yahoo! Thanks to the Brothers who set up the encampment at Our Lady of the Fields to sell raffle tickets and Christmas Cards. Conversely, the Council supported the parish picnic by helping with; the food preparation; setting up tents; selling food/beverages; set-up; tear down and clean-up. Council 5263 members were dressed in full 3rd Degree Regalia (caps, shirts etc) and we were at every station. Brothers were acting like it was "5 O'clock Somewhere" never missing a beat supporting our parishes.